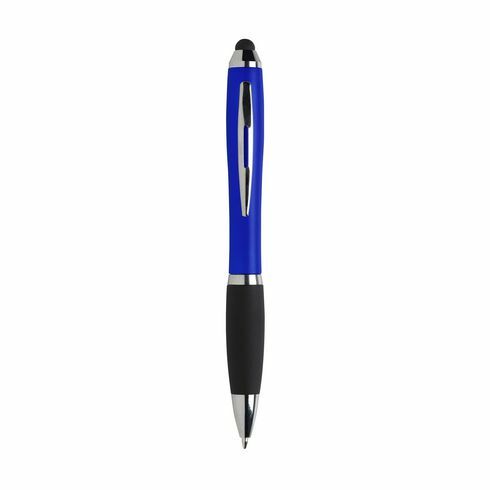 Blue ink ballpoint pen with • coloured barrel • rubber grip • glossy accents • recess in metal clip • rubber top/pointer to operate touch screens (eg iPhone/iPad). 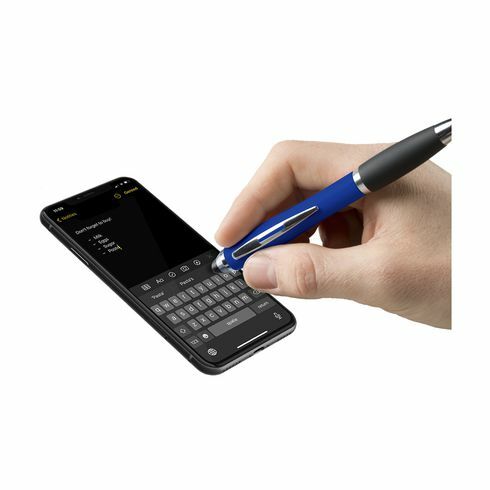 Easily switch between paper and touch screen. Great product. Our logo couldn't be displayed as we wished it to be but the alternative offered to us was very nice and our delegates were very pleased.